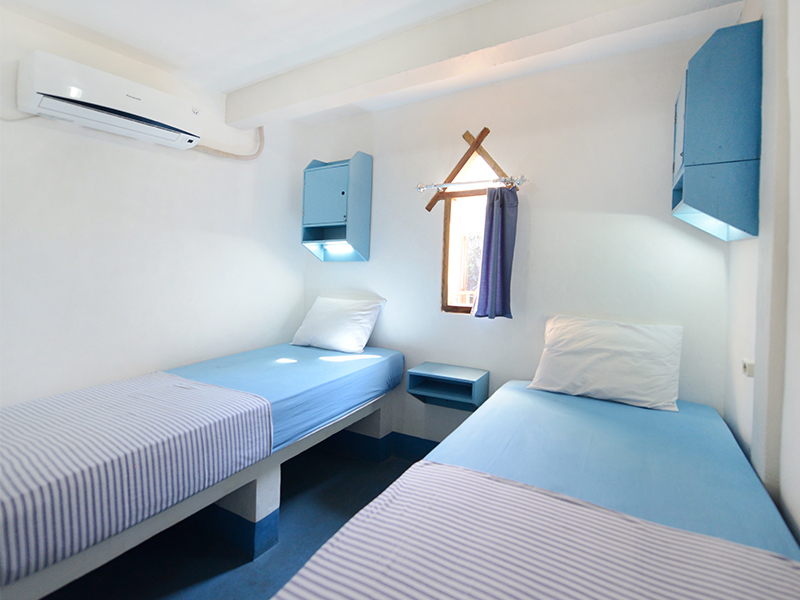 Our cosy 3 bed dorm rooms are fully airconditioned. Each bed is equipped with it’s own personal locker, reading light and plug point. Pod like beds are comfortable and you will definately get to know your neighbours really well. Our dorm rooms have shared bathrooms, filled with fresh water. Outside you have a small lounge area, where you can chill out comfortably. 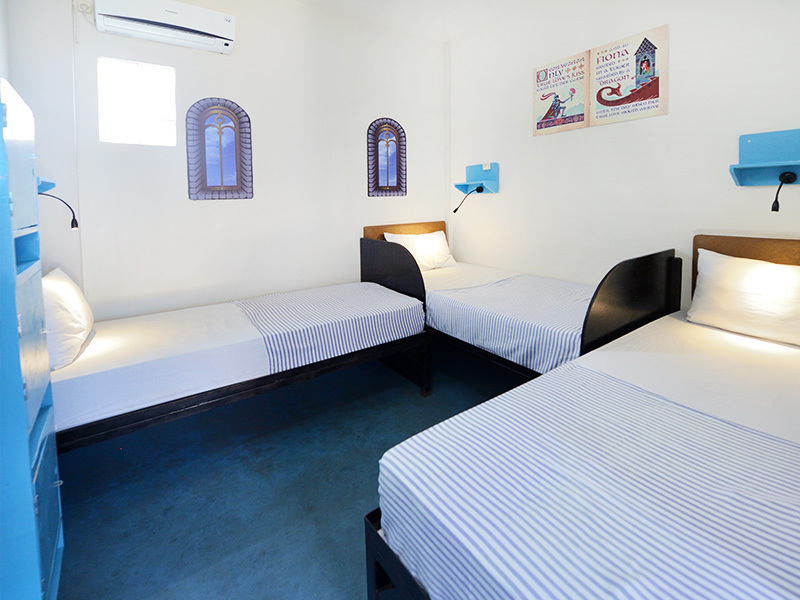 Our Twin rooms are perfect for travellers of 2. Even if you are not, it’s the best time to meet someone new! 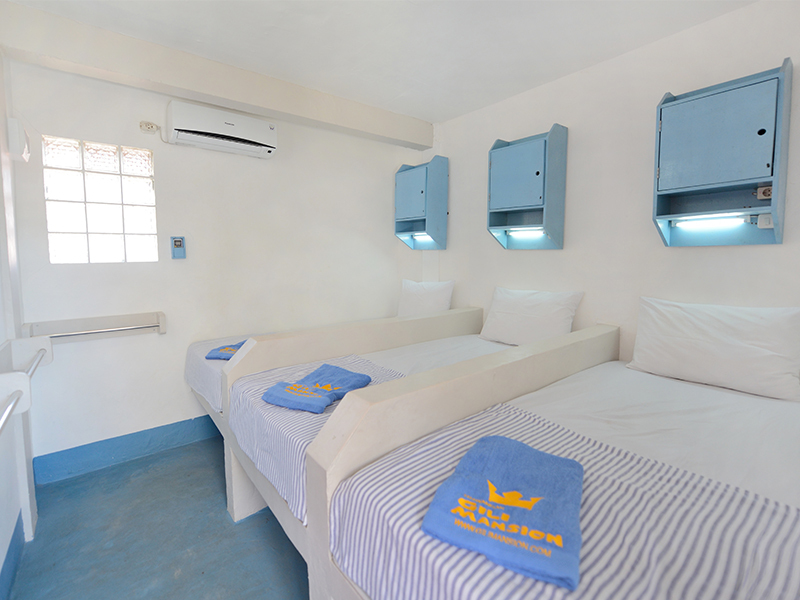 Each bed is equipped with it’s own personal locker, reading light and plug point. Our twin rooms have shared bathrooms, filled with fresh water. Outside you have a small lounge area, where you can chill out comfortably. Our standard triple dorm rooms are ideal for getting to know new people. 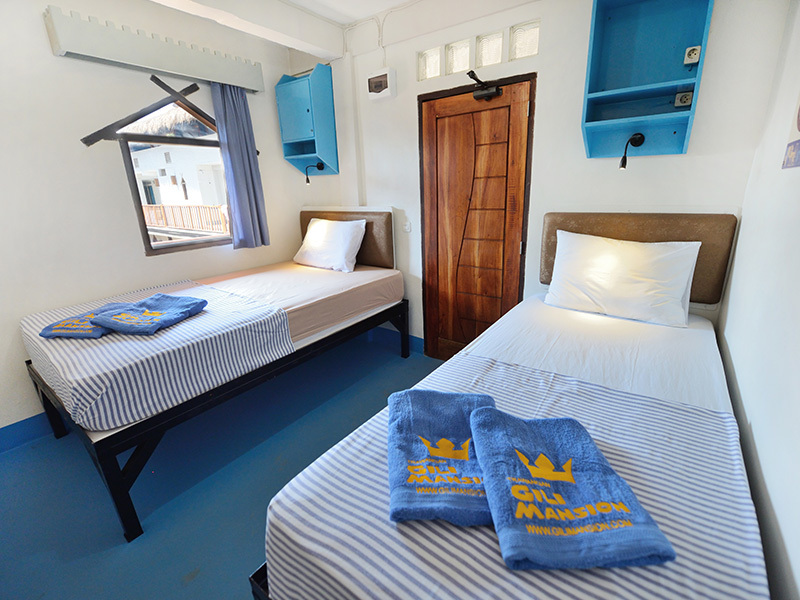 It is spacious, comes with comfy single beds and is fully air conditioned. You also have your private locker, a reading light above your bed and power plug. Cool thing about this room: You have an en-suite bathroom! Don’t forget the pool is just outside the door. 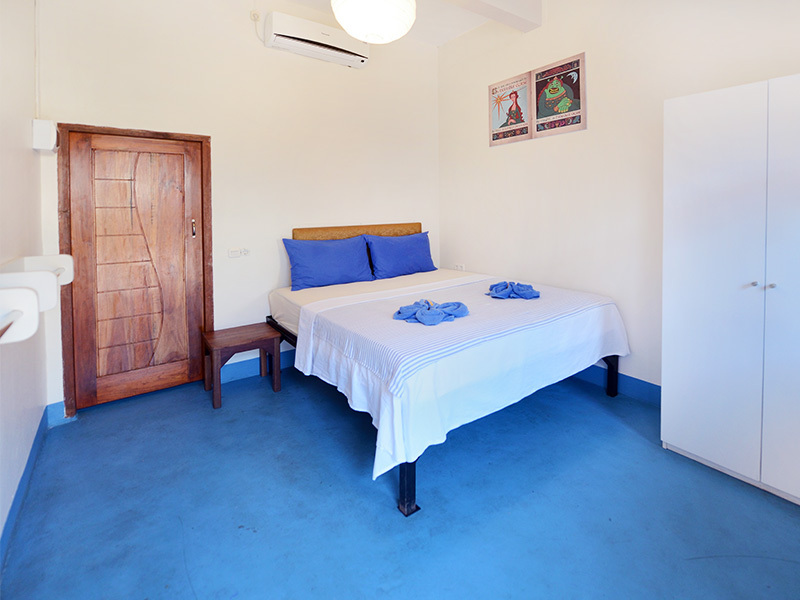 The Superior twin room is perfect for those who want a little bit more privacy. It comes with your private locker, reading light and plug point and it is air conditioned. You have your private bathroom and a hot water shower. Towels are included, too. With a little bit of luck you can enjoy an outside bathroom! Our Superior Double Bedrooms are very spacious and you can enjoy a big king size bed. It has it’s own private bathroom, hot water shower, towels and is fully air conditioned. This deluxe room comes also with a safety deposit box. Do you have any question about Gili Mansion? We look forward to answer your message!